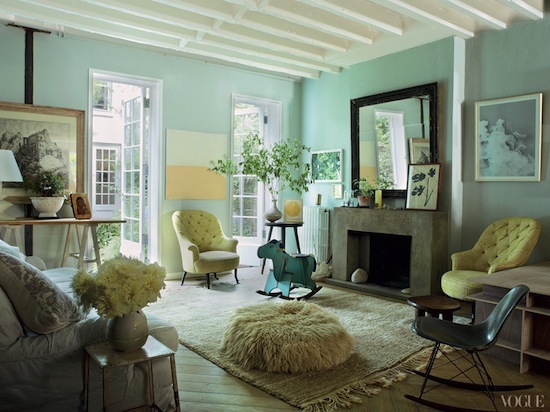 Doubtless you've already seen the images of Miranda Brooks' Brooklyn home featured in Vogue floating around the internet. So I won't talk about the fact that this idyllic paradise is smack dab in the middle of Brooklyn, that her daughters' bunnies, Peter and Bun Bun, have a state-of-the-art custom hutch on the roof which weathered Hurricane Sandy with nary a scratch or that she recently hosted a birthday party tea which included a living breathing pony, in her kitchen. Instead I'll limit myself to a few of my favorite images. I would be incredibly productive if this were my office. Incredibly productive. 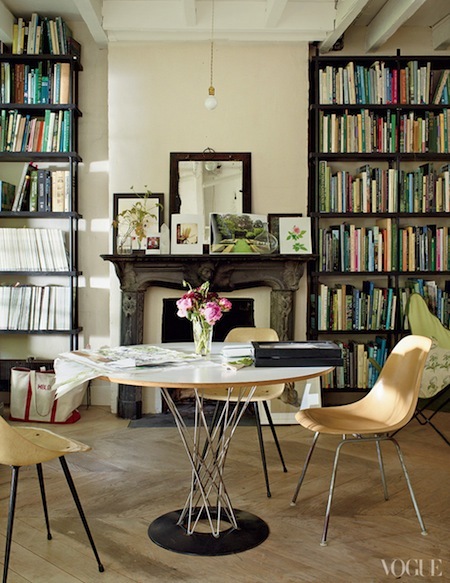 I'm loving the modern work table and chairs paired with the intricately, traditional fireplace surround. 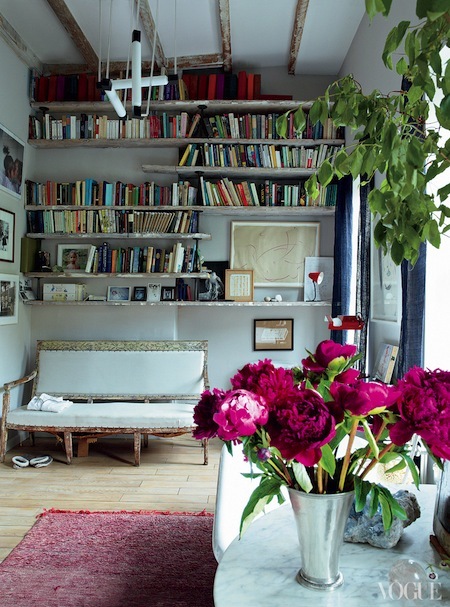 And those floor to celling bookcases. Yes, this home is really in the city. Exposing the ceiling beams both added height and country charm to this living room. Also loving the combination of historic Fenching Blue and chartreuse. And this is happening. A sitting room/ master bathroom. That's right, there is a library in the master bathroom or a bathtub in the library. Whichever way you want to look at it, it's amazing. I couldn't not include one of the daughters' rooms. Cannot even handle the adorableness. 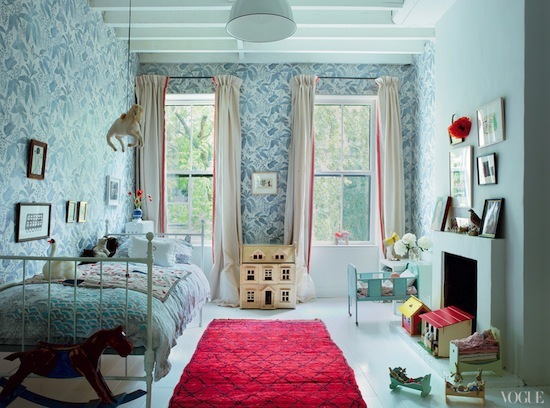 Check out the hand-printed Marthe Armitage wallpaper. I feel I would be incredibly productive if this were my office also!